Media reported that on 5th of October, the stooge regime headed by Ashraf Ghani signed two major mining contracts with two suspect and peculiar companies. According to reports the acting ministers of both Mining and Finance Ministries of the Kabul administration, during a trip to the United States, signed the contracts to extract gold from Badakhshan and copper from Balkhab with companies whose shareholders include high-ranking Kabul administration officials and former ministers. Transparency International had published a prior report stating that these mineral extraction contracts are being signed illegally and in a controversial manner where the money from these lucrative contacts is embezzled and goes directly to the bank accounts of corrupt officials instead of serving interests of the country. At a time when the country is facing the worst kind of political and security turmoil, is under an occupation and the Kabul administration is controlled by the corrupt figures who are internationally notorious for embezzlement, corruption, expropriation and the pillage and looting of national resources, signing contracts of tremendous national treasures such as minerals is truly another historical and unforgettable treachery against the nation and people. The Kabul administration officials who have not wasted any opportunity of national treason over the past seventeen years, have usurped thousands of hectares of land in and around provincial cities, are sucking the life blood of the people through corruption every day, are using government resources and public utilities for personal interests and are stuffing their coffers and bank accounts with public money such as the Kabul Bank incident. This time around it seems that the illegal auctioning of minerals in Badakhshan and Balkhab is another plan by these ruthless criminals to pillage yet more national treasure and in concert with their foreign masters, deprive the Afghans of more resources. The Islamic Emirate of Afghanistan believes that the natural minerals scattered around the country are national treasures that encapsulates the hope and desires of our nation for future economic development, reconstruction and progress. 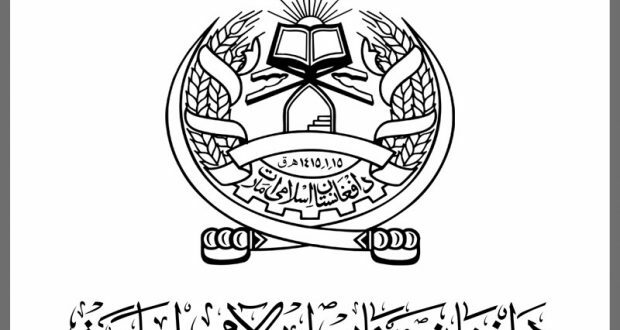 If these resources are extracted and sold by the corrupt and sold-out Kabul administration officials under suspect contracts during such a delicate time then without a doubt, these national resources will not serve our people but will be transformed into the personal fortunes of foreign invaders and their stooges. We believe that the mineral wealth of Afghanistan is the shared wealth of all Afghans therefore all processes of extraction and sale must be transparent, open and legal. Things that cannot be excepted from the current corrupt unreliable regime.